As is the case with many other people who follow boxing, Britain’s Tony Bellew does not in any way feel the six-month suspension Canelo Alvarez received for twice testing positive for an illegal substance is a strong enough punishment; nor does Bellew feel the soft punishment the Mexican star received is a strong enough deterrent to other potential drug cheats. 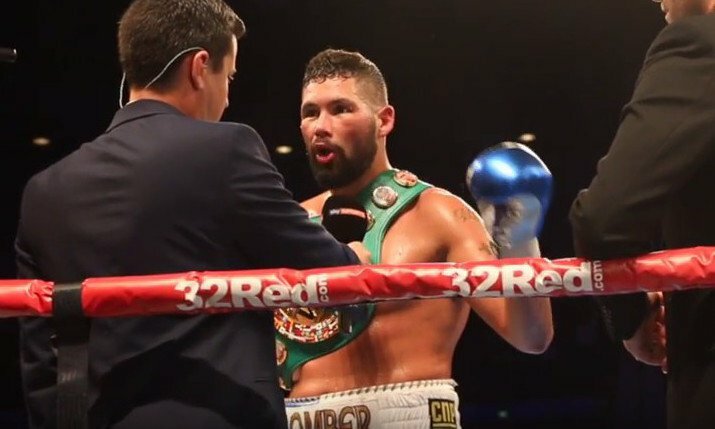 Speaking ahead of his fast approaching return fight with David Haye and having his game face very much on, Bellew stated how “you’d be amazed by how many [fighters] are on it.” Speaking with The Independent, Bellew said he feels less than a quarter of all current world champions are clean. Bellew, always a man to speak his mind, makes some excellent points. But will it really take a ring death before something is done regarding this ever-growing serious problem? Just what is the answer? How can the powers that be stop fighters from cheating? If anyone can come up with the solution we will be ever so pleased to hear it. Never before in boxing history has there been such an enormous problem with steroids and illegal substances. Clean and honest fighters are, quite sadly, becoming more and more rare. The sport needs more fighters like Bellew; a man who insists he would never, ever take anything illegal. Unfortunately many other athletes (it’s not just boxing) do not possess a similar conscience.